after moving to the small trailer park town of Truth or Consequences, New Mexico, Lily meets Alma who together transform a dead end town into a world of their own. Directed by Samantha Franco. Edited by Caroline Knight. trailer coming soon. Four and a half years ago, young talent Sophia Salveson’s life changed forever. Doctors said she may never walk, talk or perform again. They were wrong. 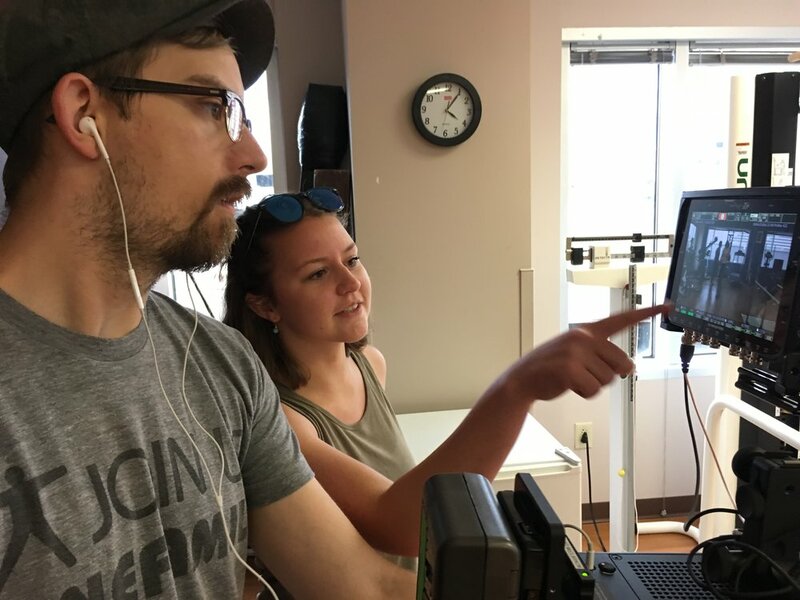 As part of 100 Words Film Festival's student-mentor grant program, caroline knight directed alongside her mentor and cinematographer, Chad McClarnon of Best Part Productions. When Lyle's mother leaves for the weekend, he must cope with the loss of his best friend. Written and directed by Savannah Lucas. Shot and edited by Caroline Knight. A young couple must face their insecurities in a hazy reality saturated by a dark, new social media trend. Directed, produced and edited by Caroline Knight. Cinematography by Nicky and Vinny Alfieri. Starring Lauren Winder and Kyle Bow. A blind woman named Sue Buckley founded one of the most inspiring blind-mentoring programs in the South East through tandem bicycling. directed, shot and edited by caroline knight. Delta Gamma at the University of Tennessee. directed, shot and edited by caroline knight. caroline was a summer intern at healthination's offices in new york and edited videos for their lifestyle series such as Clean eating, eating by heart, and true champions.